Hi everyone im a new owner of an msx2 phillps 8250.
been years since i played around with this sort of computer, i have wanted one for years never got round to it. 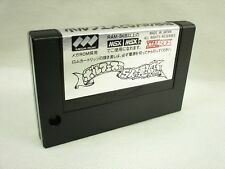 now i have im looking to further my education on the system and play some great msx games i have very basic knowledge of system ie: loading games so forth but id like a few tips. i have loads of disk images which i would like to transfer back to disk to be able to mess around with or play any games that are on there, my msx has twin floppys and double cart ports 128k ram standard afair for this system everything works as should ive tested it. i was given a couple of disks with games on ive sussed how to run those. but what process do i need to transfer disk images back to floppys via my pc either plugging in an external usb floppy drive ( which/what kind do i need ) what pc programs would i need to familiarise my self with and get used to the msxdos side of things. i am looking into down the line getting a megaflashrom but would like to learn a bit before hand, there seems to be lots of homebrew wares id like to try out and have a tinker with. id appreciate any tips and info. Welcome Gary! Great to see another UK based user here! Which PC OS are you using? Windows? More MSX to all of us. my pc is windows 7 pro based. i have however ordered myself an megacart for a bit more ease of use, but will take a week for delivery and i am away from this friday for a trip to New York so want be back until next thursday. hopefully my cart will be here by time i get home and then can start to mess around with it.